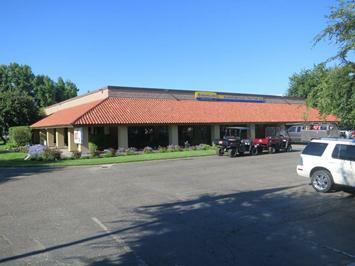 Featured Business – Kuckenbecker Tractor Co.
Kuckenbecker Tractor Co. Madera location. Farm Bureau members since 1970. What kinds of products/produce/merchandise do you sell? What brands? Our main line of equipment is New Holland Ag and Hay Equipment, but we also carry Kioti Ag Tractors, Kawasaki Utility Vehicles, Domries Tillage, and JCB Construction Equipment. We have a wide variety of customers. We sale and service all types of ag, construction, and consumer customers for their equipment needs. We are family owned and operated. My father, Richard (2nd generation) and my mother Lynne, Myself, Erich (3rd generation) and my wife Joanna, can be found at the dealerships every day. Our children Mallory, Chase and Kyle are often at the dealerships on the weekends rearranging the showroom or playing on tractors. We have our Value Bonanza Sale in the fall for our rental return tractors. We also have a big Winter Overhaul Sale in our Parts and Service departments. I would like to see more events like last year’s pomegranate festival that promotes agriculture. Even though I think of Madera as a farm community, I am still amazed at some comments I read in our local paper. We need more things that whole families can come to and have something for everyone so they all have an understanding of how important the Ag industry is to Madera. We would like to be in a similar position as we are now. Business is good, and we hope that farming in general continues to prosper so that we can have a future. We have been here for a long time and look forward to being here for a long time to come. We have a good partnership with Madera High South’s Ag department. John Williams, who heads that department, brings his Ag Power Team to our dealership on a regular basis. We even have some students intern in our shop. We recently partnered MHS South with Echo Power Equipment to donate small engine equipment to their program. Farm Bureau is very valuable helping us keep up to date on important issues or farming trends. We need to understand farming as best we can so that our customers get a sense of value from the advice we give them for their equipment needs.